Welcome to my annual post of the best chapbooks of the year! As always, 2013 was a year of good reading, and I have featured my favorite chapbook collections of the year. I am hoping this list serves as a reminder that in the poetry world, chapbooks need love too! beautiful, sinister by Kristy Bowen (Maverick Duck Press) Bowen’s collection of prose poems is a story in verse — through lyrical language intertwined in a gothic atmosphere, we meet three sisters whose lives are tangled in love, lust and tragedy. Fantasies of Men by William Lusk Coppage (Main Street Rag) Winner of the 2012 Main Street Rag Chapbook Contest, Coppage’s chapbook is a collection of journeys through the Mississippi Delta. Solemn, yet beautiful, these poems pluck readers from wherever they are and plunk them down on backroads and in rivers, among fish noodlers, bird hunters and boys who flirt with their small town girls all the while dreaming of bigger places. Improvised Devices by Brandon Courtney (Thrush Press) From the first poem where the narrator watches two little boys play at war, readers are introduced to a collection that explores the vulnerability of humans, whether they are teenagers spinning uncontrollably through their lives in American small towns or soldiers describing their everyday lives through personal accounts of the world around them intertwined with memories of home. Town Crazy by John Cullen (Slipstream) Winner of Slipstream’s 26th Annual Chapbook Contest, Cullen’s collection which explores is reminiscent of Edgar Lee Master’s Spoon River Anthology, except that Cullen’s characters and landscapes are wilder, crazier, and yes, more endearing. [Understory] by Karen Dietrich (dancing girl press) Dietrich’s work is always a favorite, and her newest chapbook, which offers glimpses of her childhood in Pennsylvania, explores themes of love and family, and the complicated relationships between the two. The Everyday Parade/Alone with Turntable, Old Records by Justin Hamm (Crisis Chronicles Press) Formatted and printed to imitate a record with two sides, Hamm’s newest chapbook explores the Midwestern landscape and people through song and lyrical narratives. Describing the Dark by Joyce Kessel (Saddleroad Press) Kessel’s chapbook is an homage to Buffalo, New York, but any reader from a Rust Belt city will recognize the tributes to people (both past and present) and the flawed, yet beautiful landscapes that stitch together a city. The Gospel of the Bleeding Woman by Katie Manning (Point Loma Press) In her first chapbook, Manning imagines the life of a minor Biblical character, the bleeding woman who is healed by Jesus. Divided in half, the book details the woman’s life before her cure and then in the second half, moves into more contemporary times, exploring the intersections of faith and spirituality. Scrap Metal Mantra Poems by Ken Meisel (Main Street Rag) In his newest collection of work, Meisel plays tribute to Rust Belt places and people. With a spiritual reverence, these poems depict narrators who find Jesus in scrapyards, a couple who marries in a junkyard, and a single bird singing a hymn in debris. We’re Smaller than We Think We Are by Allyson Whipple (Finishing Line Press) From the opening poem, “Fleeing Oklahoma” readers of Whipple’s first chapbook will be on a roadtrip: a journey that does more than take us on the backroads and open highways of America. Instead, this collection explores the search for identity and where we may find it – in old cars, in dusty homes, in our own bodies. Two days ago we had almost a foot of snow on the ground. As of this morning, it’s all gone, except for a few patches of crusty, dirty snow nestled in the shadows. It’s warm out — and windy. Our backyard is one big puddle of water. We are under Flood warnings instead of Winter Weather advisories, which is what we usually see this time of year. With the possibility of a White Christmas dwindling, Anthony and I have been busy doing last-minute shopping and baking. (True confession: I do most of the shopping, he does most of the baking.) I am off until the first full week of January, so I am trying to make the best of my free time — catching up on correspondence, cleaning out my files, and reading the stack — no box of books — I have purchased in the last few months including some great poetry collections. I know that 2014 is just around the corner, and I have some important decisions to make in this upcoming year, but right now, I’m living in the moment. I will return after Christmas to post my best poetry picks of the year. For now, Anthony and I wish you all a safe and happy holiday season! 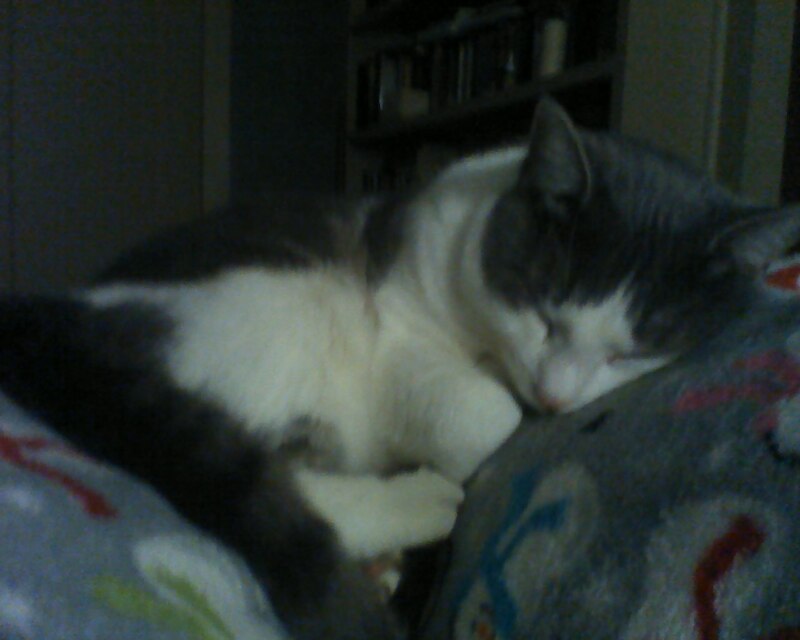 This is What I Will Be Doing…. Since that time, I have made it an effort to study the life of Nellie Bly — she could be considered a muckraker although most of her important journalism was completed way before the term “muckraker” was coined. One of her best pieces was “Ten Days in a Mad House” where she faked insantiy to do undercover work at the Blackwell’s Island Insane Asylum. 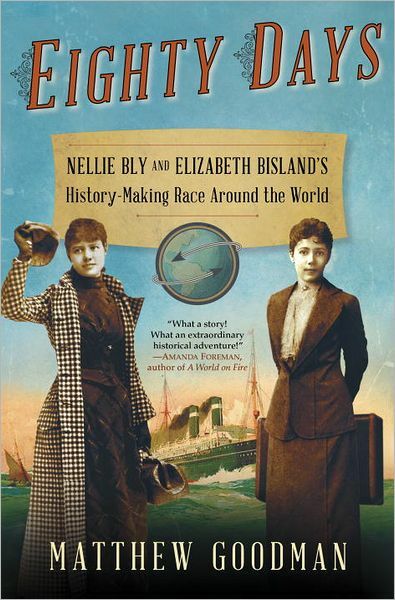 Unfortunately, most of the work I have found about Bly has been a bit dry and academic — but I just finished Eighty Days: Nellie Bly’s and Elizabeth Bisland’s History-Making Race Around the World by Matthew Goodman and I have to say that this is one of the best books I have read this past year. Goodman details Bly’s life (she’s from a small town in Western Pennsylvania) and her struggles as a woman journalist in a time period when women only wrote marriage advice columns and housekeeping tips. Most of the book, however, traces Bly’s trip around the world — an event that was arranged by a newspaper when Nellie herself told her editor that she wanted to beat the record set by the fictional character, Phileas Fogg in Jules Verne’s book, Around the World in Eighty Days. I knew a little about Bly’s trip — however, what I didn’t know was that another newspaper sent another woman to beat Nellie Bly. Her name? Elizabeth Bisland — and outside of working for women’s rights, she had little in common with Nellie Bly. Goodman also traces Bisland’s trip, emphasizing the fact that Bly would have actually beat Bly — if poor weather had not slowed her journey. Goodman’s account of the two journeys is intriguing and insightful. Nellie Bly would go down in history, and I’m glad to read a thoughtful account of her life and this particular journey. On the other hand, it seems that Elizabeth Bisland’s name would seemingly vanish from history — so I am glad that Goodman found Bisland’s records, so that I could learn about this intriguing woman. I’m letting my work come home to roost. This past weekend, I sent out my last submission for 2013. I have learned long ago that December is not a time to go on any kind of submission spree. So, I let my work come home to rest — roosting much like the blackbirds that crowd the telephone lines outside of my house, their black feathers stark against a world of white. It seems that editors are clearing off their desks and cleaning out their inboxes in time for the holiday season. In the last five days, I have received three rejections. This past year has been a weird writing year for me. Confession: I have not written a brand new poem since June. I have revised and revised and submitted and submitted, but no brand new poems have emerged from my notebooks. Instead, I have turned to pieces of literary nonfiction. Since this summer, I have finished five essays, submitting them to various markets. Much like my beginnings in the poetry world, I have received rejections. That does not discourage me. In fact, while I have been rejected, I have also received many remarks from editors who have encouraged me to revise and try again! I am entering into a new phrase of writing, and I am excited about this adventure. This does not mean I have left the world of poetry behind. Indeed, I am working on my Best Collection posts (Look for my lists at the end of December) of what I have read this year. And, of course, I have not given up on organizing my full length collection. To be honest, I think this break from writing poetry will serve me well. With December Right Around the Corner…. In the last few days, we have survived Winter Storm Boreas, Thanksgiving, and Black Friday — a trio of events that have made the last week a bit more chaotic than normal (Although, I admit, while I have many family members who love Black Friday sales, I sleep in…actually saving a lot of money!). I have the rest of this weekend to catch up a bit with grading papers and reading a pile of chapbooks that are sitting on my nightstand. And speaking of chapbooks, writer William Kelley Woolfitt has posted an interview where I talk, no gush, a bit about chapbooks. Yes, I talk about Stealing Dust and Wearing Heels in the Rust Belt, but I also spend a great deal of time discussing other poets’ chapbooks. The website has other great interviews in its archives including posts by Justin Hamm and Michael Meyerhofer. Take a look! In other good news, the latest issue of Flycatcher is live! It’s a beautiful issue featuring poems by Rupert Fike, Thomas Rain Crowe, Valerie Neiman, and Mike James. And yes, two of my poems are also featured. Happy Reading! I have a love/hate relationship with the sestina. 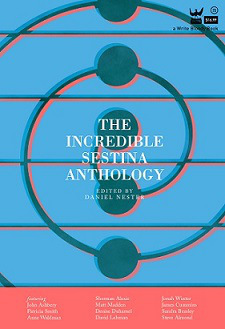 I love to read sestinas — I love the way poets experiment with the form, playing with the end words, while twisting meanings, tenses and even spellings. I also love to teach the sestina. The sestina has a fixed pattern — much like other forms that I teach (the pantoum, the ghazal and the villanelle), so many of my nonmajors suddenly see patterns and organization that they didn’t see before. But I hate writing sestinas. In the last week or so, we have been working with forms in my Writing About Literature classes. Even though it’s not a creative writing course, I do take a class period to have students experiment with form. For many, the sestina is the biggest challenge; however, many of my students do enjoy the pantoum and the ghazal. Today, as I am finishing this post, we are under our first Lake Effect Snow Warning of the season. The wind is blowing and snowflakes are flying. It’s a good day to stay inside, bundle up, and try that sestina again. The US Department of Labor has recently launched a new project titled “Books That Shaped Work” and the public is invited to help compile a list of books about work, workers, and workplaces. The list already includes such classics as The Grapes of Wrath by John Steinbeck, The Jungle by Upton Sinclair, and How the Other Half Lives by Jacob Riis — but there are many more. I think the list could use some more poetry, don’t you? Click here to read the complete list so far. The site also includes information about how you can add your own suggestions. When I teach creative writing, I like to show clips of movies that depict the writing life. One of my favorites is the 80’s dark comedy, Throw Momma From the Train starring Billy Crystal and Danny DeVito. If you haven’t seen this movie in a while, let me refresh your memory. One of the main characters is a community college professor who is suffering from writer’s block. While struggling with his writing, he is also teaching creative writing and battling his own feelings of anger against his ex-wife who has allegedly stolen his novel. I’ve been thinking about this movie (and my student responses) the last few weeks as I slowly try to clean up my poetry files in preparation for the new year. Yes, there are good things about the writing life. Wonderful new work that falls from your pen or pencil or keyboard. The acceptances, of course. Attending writing conferences and readings. Correspondence between writers. Working with editors. Just the simple act of reading a great poem, or a wonderful collection, or a fantastic book. Then there’s the bad. One word. Rejection. That’s all you need in this category. Finally, there is the mundane. Waiting for responses — any kind of responses. Sending out single works and collections. Writing cover letters. Figuring out individual submission managers. Tracking down seemingly lost submissions. Reorganizing manuscripts. Sometimes, revising, especially if you can’t get a work quite right would also fall into this category. Lately, most of my writing life seems to fall into this third category. I have been tracking down seemingly lost poems, withdrawing poems from journals that are either taking too long (yes, I believe that over 12 months is way too long) or are shutting down (if the website has not been updated in over 9 months, I believe that is a warning sign). This past year has not been a good one when it comes to submissions and I want to start off the new year with a fresh slate — or as fresh as I can get it.